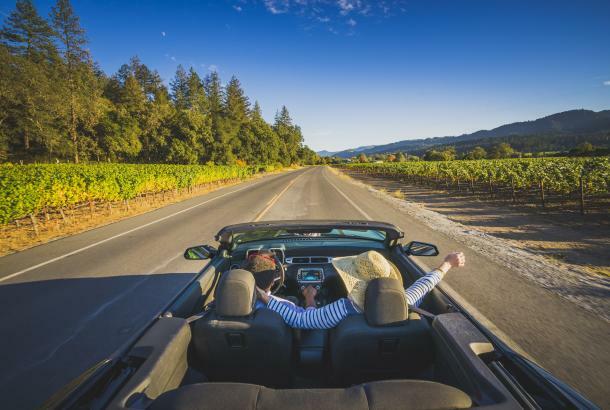 With its glimmering sunlight, the views of distant hills looming above golden valleys, and hawks circling overhead, Napa Valley has served as a muse for many painters—as well as sculptors, photographers, writers, and other creative types. An added bonus of spending a long weekend exploring the valley’s art scene is that the community here is so accessible. You don’t need to worry about calling in favors to get on a guest list for a gallery opening. 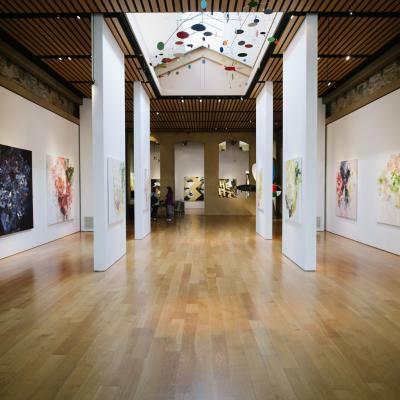 Begin your Napa Valley art adventure with a stop at the Napa Valley Welcome Center, where you can learn about current gallery exhibits and events as well as get tips from local experts on everything from happy hour spots to where to find the best views in the valley. Don&apos;t forget to pick up a souvenir to take home – the Welcome Center Mercantile features a stunning array of unique locally-crafted artisan goods. 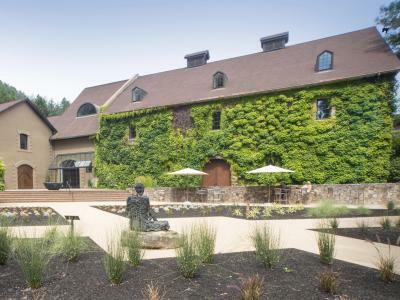 Get a taste of Napa Valley&apos;s most famous product at the Hess Collection Winery. Among oenophiles, the winery is best known for its complex and elegant Cabernet Sauvignon. Those adjectives could also be applied to the winery’s art collection. Donald Hess has collected art for more than four decades, and some of the world’s most important modern and contemporary artists are represented: Francis Bacon, Anselm Kiefer, and Robert Motherwell, among others. Works of art come not only on canvas but are also served on plates in the Napa Valley. 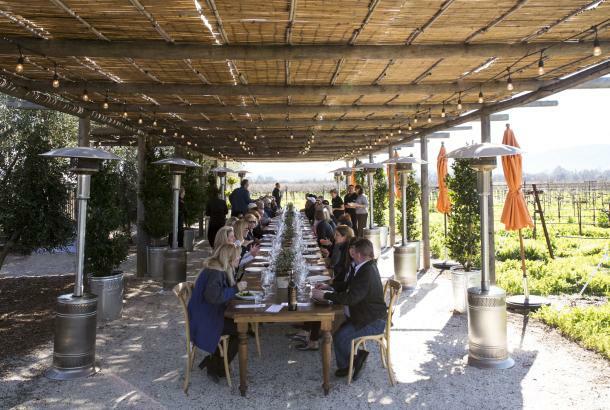 Yountville has one of the highest concentrations of Michelin stars in the world, with four Michelin stars but fewer than 3,000 residents. 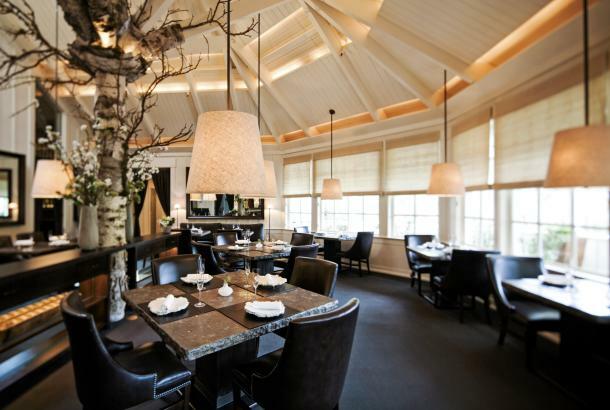 The most acclaimed option, which requires reservations far in advance, is Thomas Keller’s French Laundry. The same chef’s Bouchon Bistro is more casual, as are the town’s two Michelin Bib Gourmand options: Bistro Jeanty and Redd Wood. Before dinner, pop into Ma(i)sonry where the wine tasting room displays works by local artists. 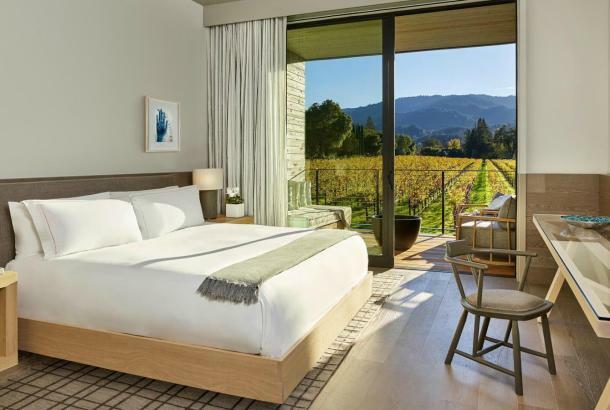 End your day by checking into the one of the 50 Mediterranean-inspired rooms and suites at Auberge du Soleil, one of the valley’s most luxurious resorts. It&apos;s a fitting choice given the sculpture park that spreads across 33 acres planted with olive trees. Among the 110 pieces by 65 artists, look for several from California native Matt Gil, whimsical works by Giuseppe Palumbo, and pieces by Damon Hyldreth, investigating the relationship between man and nature. Guests of the resort can explore on their own or on guided tours with one of its curators. Start your day with a stop at the Silverado Market and Bakery for a coffee and a pastry or muffin baked on the premises or one brought in daily from some of the Valley&apos;s most popular bakeries. 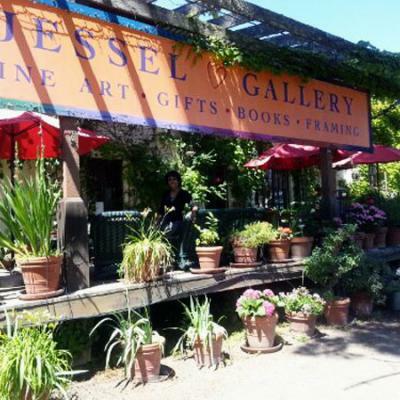 Then visit the nearby Jessel Gallery which represents painters and sculptors, including Timothy Dixon, Lisa Lee, and Alan Sanborn. If you visit on a Saturday morning, you can join one of Jessel Miller’s acrylic and watercolor classes (from 10:30 a.m. to 1:30 p.m.; $50, supplies included). 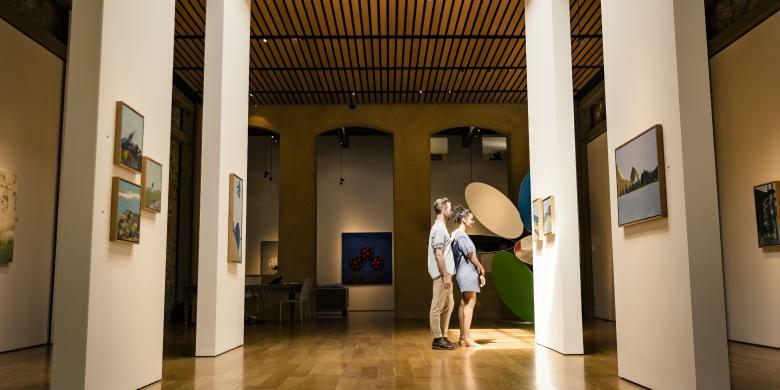 Head into town and your next stop, the Art Gallery Napa Valley which promotes the works of some 50 local talents, working in a variety of media, from jewelry to oil paintings. Another reason to visit the city of Napa on the weekends is to take advantage of the area’s Open Studios program. On many weekends (schedules are available on the Art Gallery Napa Valley’s site), artists in the town of Napa—as well as St. Helena and Yountville—open their doors to the public. Whether you are a collector or just curious, it’s an opportunity to meet the artists and learn firsthand about their inspiration and works. 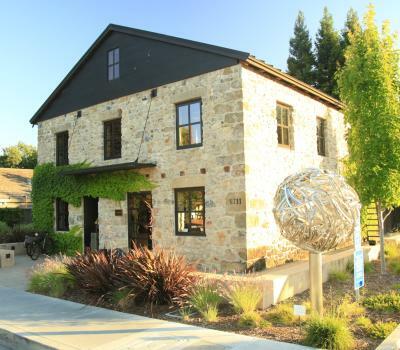 You can also encounter art right on the streets of Napa. 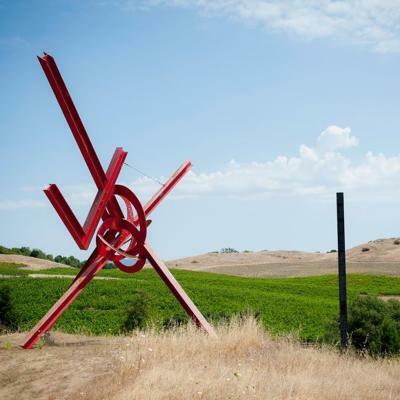 The fifth annual Napa Art Walk, launched in July 2017, features outdoor sculptures by 10 artists from four Western states. When you get to the wooden circle that is Wisdom of Decay by James Burnes, you can sample some of the valley’s best cheeses and other artisanal foods at Oxbow Public Market or order both classic sushi rolls and seasonal specialties at the popular Eiko&apos;s at Oxbow. 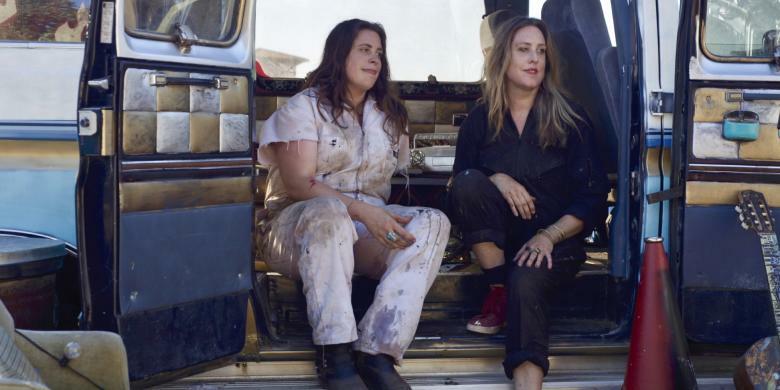 After lunch, head towards St. Helena to visit the six-acre ranch where the bohemian Baker sisters, Melissa and Mercedes, work out of a studio in a former barn (visits by advance appointment only). The property features some of their large-scale installations and fashion designs as well as surrealist and figurative oil paintings in various stages of completion. 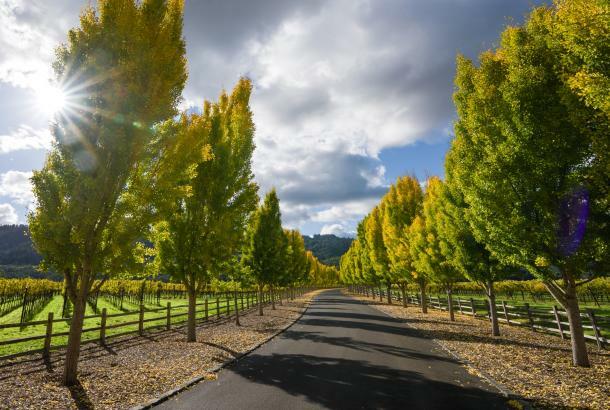 While the sisters have had their works exhibited in galleries from Buenos Aires to New York, they find their creative haven and inspiration in this quiet corner of the Napa Valley, not far from where they grew up. Return this morning to spend time exploring the art scene beyond the Baker sisters. Ærena Galleries and Gardens, for instance, has several locations throughout the Napa Valley, including one on Main Street in St. Helena. They represent leading artists, from both California and beyond, and are the curators responsible for the sculpture garden at the Auberge du Soleil. Right next door is the Martin Showroom, a favorite of the Baker sisters. Interior designer Erin Martin has assembled an eclectic collection of unique items, from jewelry to furniture. Just a minute away, the Christopher Hill Gallery represents many modern and contemporary artists. Main Street is also home to an array of restaurants including Italian, Mexican, Nepalese, and contemporary American choices. At Archetype, you can either opt for a healthy entrée—like the Buddha Rice Bowl or the kale salad—or choose not to worry about calories. You are on vacation, after all, so get the signature HB Cheeseburger or duck confit sandwich if you&apos;re in the mood for them. In the afternoon, visit the one-room Robert Louis Stevenson Museum. 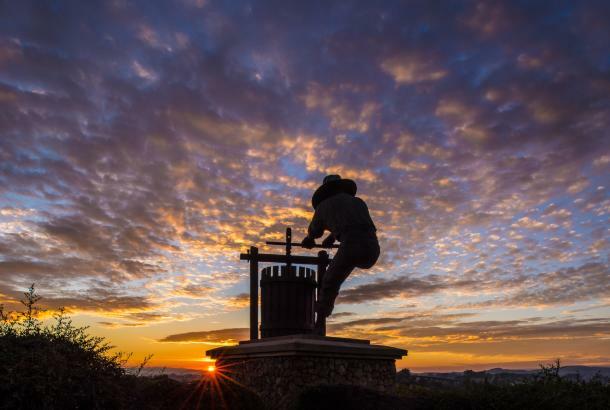 Writers, as well as visual artists, have found inspiration in the Napa Valley. The author of Treasure Island and The Strange Case of Dr. Jekyll and Mr. Hyde spent nine weeks here, when he traveled to California in pursuit of his future wife, Fanny Osbourne. (He wrote The Silverado Squatters during his stay.) While Stevenson&apos;s life took him around the world, this museum is in St. Helena thanks to the passion of one reader who assembled the world’s largest collection of artifacts related to the author—housed two blocks off of Main Street, and next to the town&apos;s library. After checking out from the Auberge, spend this morning exploring one of two different highlights in the area. If you’re headed south, perhaps back to San Francisco, di Rosa is on your way. This center for contemporary art showcases the largest collection of art from the Bay Area. Rene di Rosa began buying art in the 1960s, and the galleries here now include works by 76 artists, among them Imogen Cunningham, Bruce Nauman, and others whose impact has been felt far beyond California. There is also a Sculpture Meadow that can be visited on guided tours. If you thought you needed to travel to Italy’s Veneto to visit a Palladian villa, then you may be surprised to come across Villa Ca’Toga. Artist Carlo Marchiori who immigrated to the United States in 1956, and in 1987 he began building a little corner of his homeland on five acres near Calistoga. The villa&apos;s interiors are covered with murals complete with typical Palladian trompe l&apos;oeil tricks. There is also a recreated Greek temple and a Roman pool on the grounds. The villa is open for tours weekly on Saturdays at 11:00 a.m., from May to October. The rest of the year, Marchiori&apos;s work can be seen at his gallery in town, on Cedar Street.